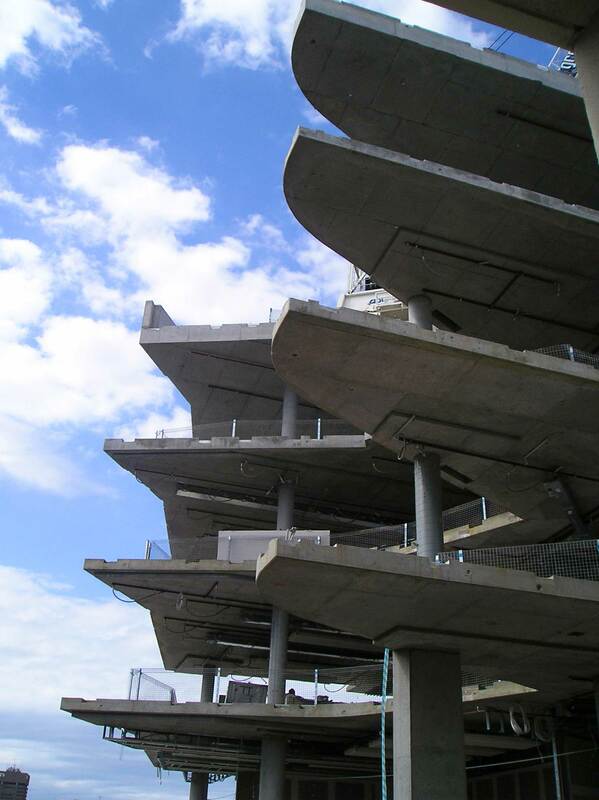 Post-tensioned concrete can be used in many applications to speed up the construction program, minimise the amount of materials, and increase layout flexibility. Post-tensioning allows longer spans to be used. This means the number of columns per floor is reduced, which opens up the floor area and increase the flexibility of the structure. Post-tensioning becomes more economical than plain reinforced concrete slabs for spans greater than 7 metres. This is due to the total cost of materials, labour and formwork being reduced. The slab thicknesses can be reduced when using post-tensioning. This results in savings for facade costs, as well as allowing more floors to be constructed within the original building envelope. 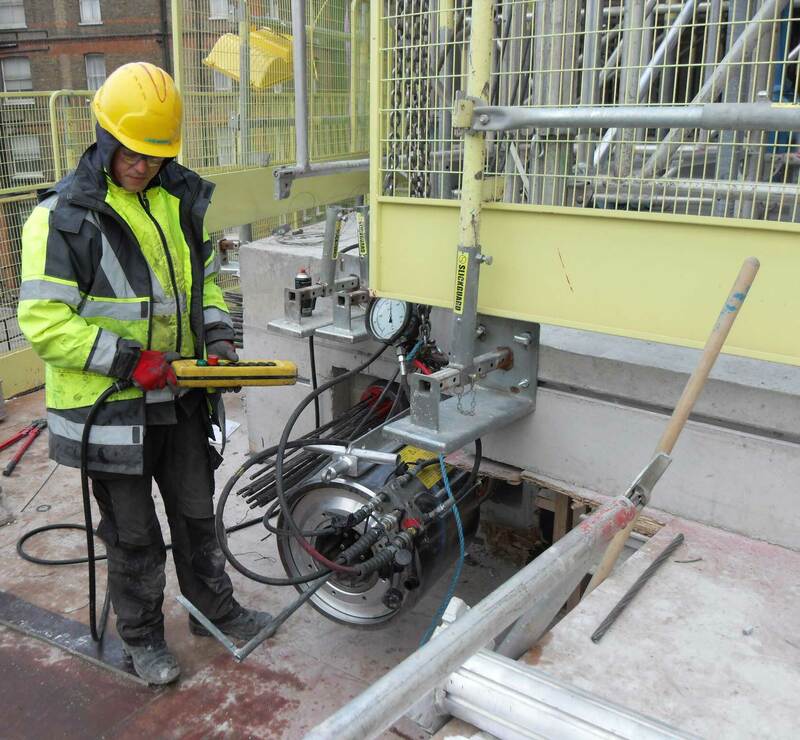 Slab deflections can be eliminated with post-tensioning. 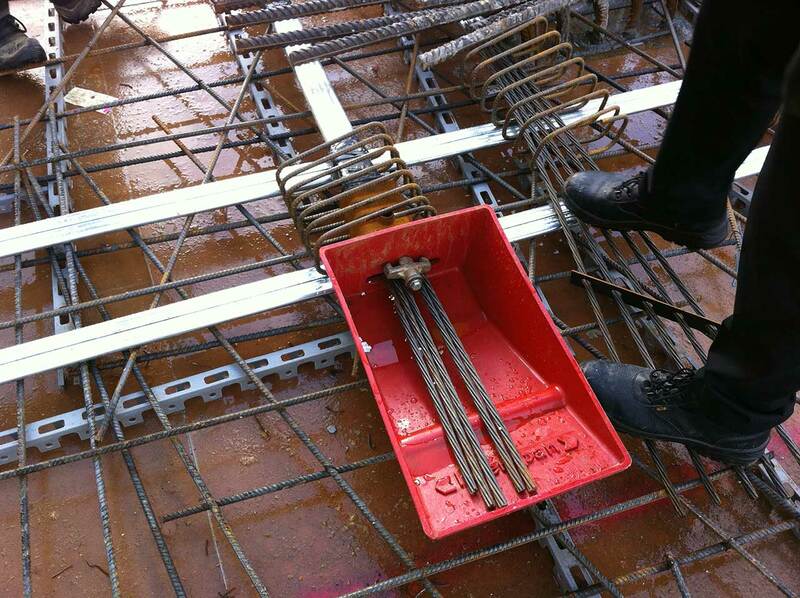 Post-tensioning allows for earlier removal of formwork and reduced back-propping requirements. This means faster construction cycles with the quick re-use of formwork. Reducing the slab thickness has the benefit of reducing the floor dead loads, which results in an economical design of the concrete columns and footings. Post-tensioned slabs can be designed to be 100% crack free, which means the slabs are essentially waterproof. In order to construct a waterproof slab the choice of concrete mix, curing methods, quality workmanship and detailing are key factors. The depth of the slab is controlled by eliminating deflection and designing for punching shear. Post-tensioned concrete has pre-compression loads applied to the concrete, which ensures any deflections in the slab can be eliminated by good design practices. The other design consideration is to ensure an adequate number of movement joints are provided in the slab. The maximum distance between movement joints is in the order of 50 metres. Without movement joints, the slab will be restrained and will crack due to creep, shrinkage and elastic shortening. The construction of the post-tensioned concrete slab is one of the fastest construction methods. This is because the formwork and back-propping can be removed earlier than with reinforced concrete slab construction, as the slab is able to be self-supporting. A post-tensioned slab is flexible in accommodating openings and penetrations. The load capacity of the slab is not compromised if the post-tensioning is not evenly distributed along the floor. This allows openings to be provided in the slab, assuming proper details around the openings are documented on the drawings.